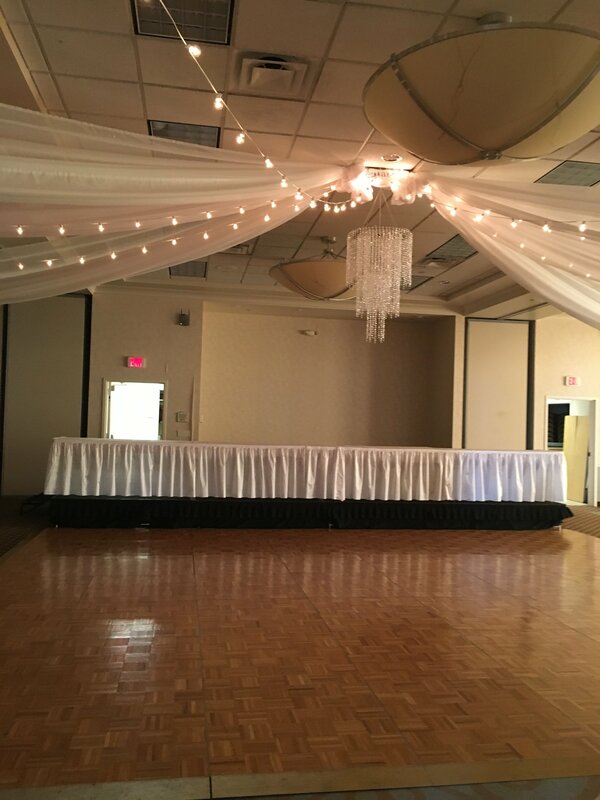 Four elegant long sheer white voile ceiling swags accent the ceiling decor at Forte Conference and Banquet Center, Des Moines, Iowa, enhanced with the elegance of italian lights create a "Beyond Elegance" wedding reception. Plus we add a FREE crystal chandelier to give a glow of sparkle to the middle of the room. Call today for pricing to let us help you create the wedding of your dreams within your budget.